After losing his family in a terror attack and embarking on a mission of vengeance across the Middle East, Alex Shepherd has left the covert paramilitary group known as Odin and started a new life. With his new identity as Deputy Troy Wilson and his new K-9 partner, Shepherd settles into his new life as a School Resource Officer for a small high school. He believes that he can make up for not being able to save his family by protecting the students of Fredericksburg High School. But when Mexican gangs invade the sleepy Texas town, Shepherd once again finds himself on the frontlines of an ongoing war against evil. As he steps up to defend his community, he soon finds that his past is not as buried as he had hoped and his final mission with Odin soon comes back to haunt him. 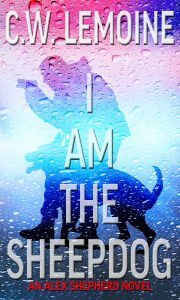 With his new life in jeopardy, Shepherd must keep his true identity hidden while protecting the people he cares about. As new threats begin to emerge, Shepherd soon realizes that he’s no longer “The Wolf” set on vengeance. With his only mission being to protect the people he cares about, he has once again become the sheepdog. Now available! Learn more HERE. In Book 7 of the Spectre Series, Spectre once again finds himself in a fight for his life, but this time, he’s not alone. After saving his old teammates in Iraq one last time, Major Cal “Spectre” Martin has hung up his G-suit in favor of a new career as an airline pilot. But when Spectre learns that one of his friends has been killed in what authorities are calling a gas explosion, Spectre sets off on an investigation that places him right in the middle of an international conspiracy that aims to bring the Western world to its knees. With the help of a few old friends, Spectre must uncover the truth, clear his name, and stop a group of rogue billionaires from launching their deadly project codenamed HELIOS. On the first day of school in a New Orleans suburb, terrorists hijack a school bus full of children. Corporal Alex Shepherd, decorated Sheriff’s Deputy and SWAT sniper, is critically injured trying to stop the attack and save his wife and daughter. Waking from a month-long coma, Shepherd finds his girls are gone and the world has moved on. With no arrests made, his frustration at the system’s failures forces him to take matters into his own hands. His thirst for vengeance leads him from New Orleans to the brutal battlefields of Syria, where he gains fame as a ruthless sniper. ISIS targets him, wanting his death to be a gruesome propaganda display. But as the bodies stack up, Shepherd learns there’s no compromise in the war against evil. With nothing left to lose, he must confront the people responsible for the murder of his wife and daughter . . . or die trying. C.W. Lemoine is the author of the military/espionage thriller novels SPECTRE RISING, AVOID. NEGOTIATE. 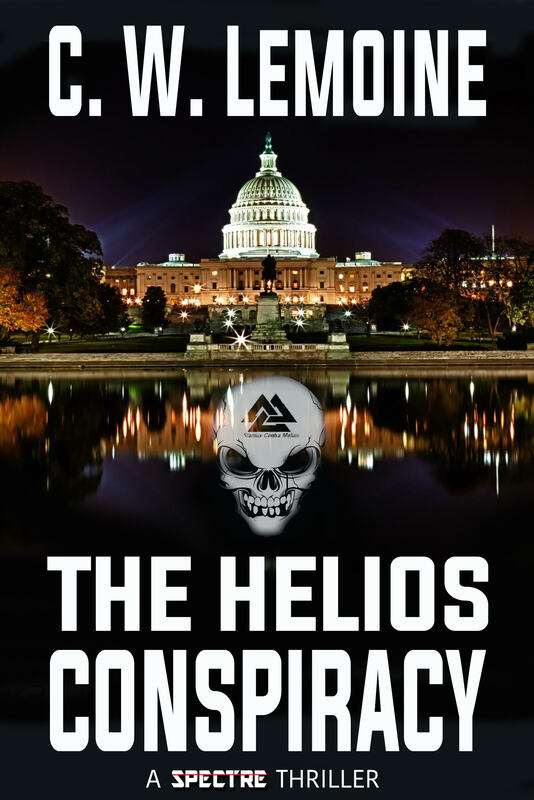 KILL., ARCHANGEL FALLEN, EXECUTIVE REACTION , BRICK BY BRICK , STAND AGAINST EVIL , ABSOLUTE VENGEANCE, THE HELIOS CONSPIRACY and I AM THE SHEEPDOG. A Louisiana native, Lemoine is a graduate of the A.B. Freeman School of Business at Tulane University in New Orleans. 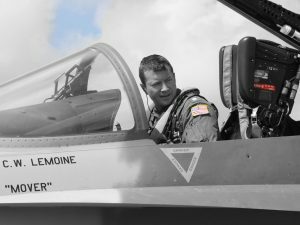 After graduating college, Lemoine joined the Air Force Reserve where he flew the F-16 and accumulated one thousand hours including a combat tour in Iraq. Lemoine later transferred to the Navy Reserve where he flew F/A-18A+ Hornets for four years. He currently flies for a legacy U.S. airline and is a POST-1 certified reserve deputy sheriff. You can check out his new YouTube channel and new VLOG “MONDAYS WITH MOVER” HERE. 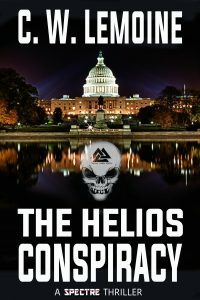 Military Thriller fans looking for the next Brad Thor have found their savior in C.W. Lemoine’s SPECTRE Series. You can’t help being drawn into Spectre’s passion and his devotion to doing what is right no matter the risk. I was definitely intrigued by the great research that Lemoine must have done to write SPECTRE RISING. This book was definitely very intriguing and had a lot of action throughout. The information seemed very well researched and realistic yet understandable for the average person. Overall, I really liked the book and the action. Five Stars! IR Verdict: SPECTRE RISING is a fast-paced thriller with a great protagonist who thoughtfully pushes the plot forward with integrity and ingenuity. Action, action and more action! SPECTRE RISING is exceedingly dynamic and moves and turns as fast as the F-16 jet that the book’s hero, Captain Cal “Spectre” Martin is flying…..The end of this international terror story and the fate of the protagonist will not disappoint you. Your level of adrenaline will soar with the twists and turns of the story. IR Verdict: AVOID. NEGOTIATE. KILL. 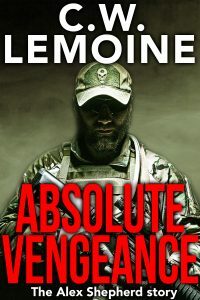 is a tale that lovers of military thrillers won’t want to let pass them by…Lemoine’s style is a match made in heaven for readers with a Tom Clancy-shaped hole in their hearts. Jan 01, 2016: What’s New for 2016? Nov 13, 2015: ISIS Attacks in Paris – Avoid. Negotiate. Kill. © 2019 CW Lemoine. All rights reserved.